Intrada proudly announces the release of Once Upon a Time - Season Two, following up its previous release to season one. 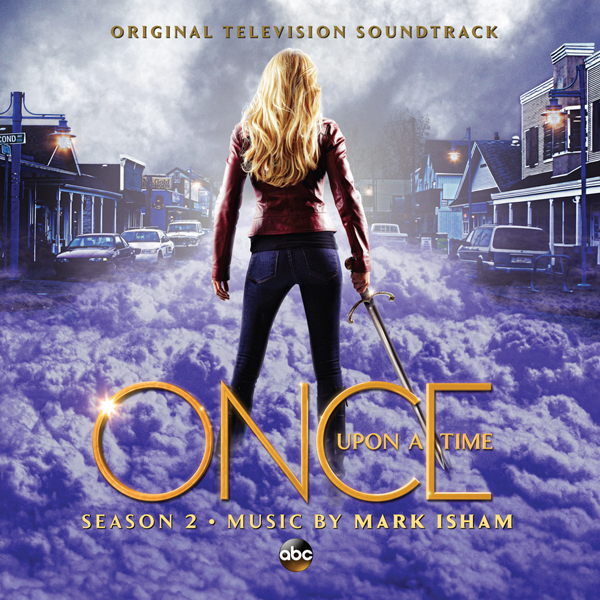 For the sophomore year, composer Mark Isham took the musical concepts he established in the first season and weaved them into the ever growing magical (and non-magical) worlds. New themes for new characters, a new musical language for a post-curse Storybrooke and more crossovers between realms leads to a bigger, more expansive score. And to round out this new volume is the premiere of the very brief, yet powerful main title. Season Two picks up where season one left off -- the curse is broken, magic has arrived and now the exiled fairytale characters must grapple with a flood of awakened memories as they come to grips with their new "reality." Old loyalties are tested, new heroes emerge, and vengeful villains wreak havoc. This release coincides with the DVD and Blu-ray release of Season Two, now available "HERE". And don't miss season three of Once Upon a Time, which premieres on Sunday, Sept 29th at 8/7c on ABC. I didn't remember the music while watching the show, but I'm sure it's magical and filled with lovely instruments!